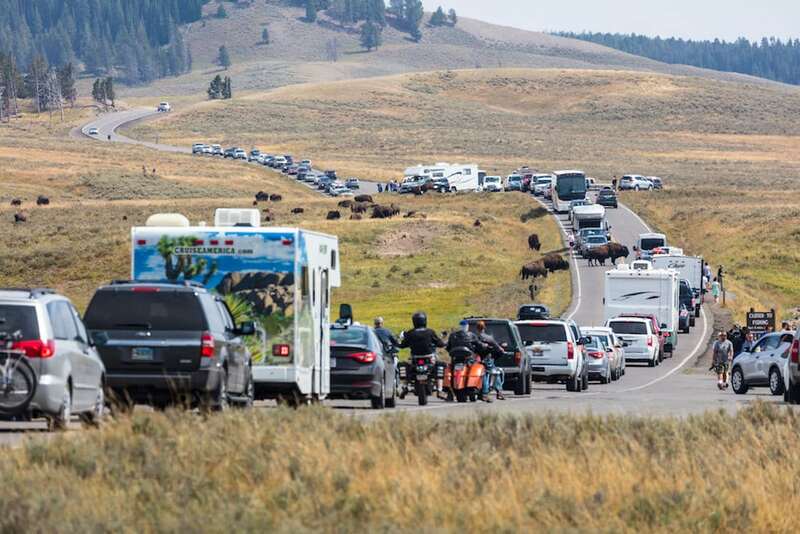 JACKSON — Yellowstone National Park Superintendent Dan Wenk has lost a skirmish with the Trump administration in which he sought to ensure an “orderly transition” with 10 more months’ service in Yellowstone. He must decide by Aug. 2 to accept reassignment to Washington D.C., retire, or be subject to firing. Wenk received a letter and email Monday saying he was being reassigned to the National Capital Regional Office (see documents below.) He had fought the involuntary transfer for two months, even resigning from the Park Service, effective May 30, 2019, to try to buy time to complete outstanding projects, he said in an interview with WyoFile. But neither his retirement, which was announced last week, nor difficult negotiations in the preceding two months staved off the 43-year Park Service veteran’s forced removal from the helm of the world’s first national park, he said. He has been Yellowstone superintendent since 2011. “My assumption was that by announcing my retirement … they would allow me to finish my career in Yellowstone National Park,” Wenk said. But P. Daniel Smith, now director of the National Park Service, and Susan Combs, Department of Interior’s acting assistant director for fish, wildlife and parks, would not heed his pleas to finish initiatives and pave the way for a transition, he said. “I do not understand why it is being done,” Wenk said. WyoFile did not immediately receive a response to an email to the Department of Interior seeking comment. The removal was made without serious consultation, explanation, or an opportunity to present his case to decision makers, Wenk said. In 43 years of service with the federal agency, the method of transfer is something “I’ve never seen before,” Wenk said. Wenk was given 60 days from June 4 to decide whether to accept the transfer immediately, accept it in 60 days, decline the transfer and retire, or decline the transfer and “be subject to removal under adverse action procedures,” documents show. Park Service director Smith told the superintendent in a telephone conversation June 1 he hoped to have Wenk’s replacement in place in August, Wenk said. Because of the potential for a new superintendent to arrive before Wenk chooses one of his four options, Wenk said he asked Smith what would happen if he was still in Yellowstone when the new superintendent arrived. “He told me you just won’t be the superintendent any longer,” Wenk said. The next day he received a call from Smith saying the forced transfer was on, regardless. Wenk said he told Smith the transfer was unacceptable, and that he was thinking of retiring in any case. Publication of the transfer news would undermine his initiatives unless the Park Service allowed him to serve in Yellowstone until 2019, he said. “I had become a lame duck the minute that Washington Post article appeared,” Wenk said. Wenk outlined his arguments for staying in Yellowstone to Smith and received an assurance Smith would take his case to the Department of Interior’s Executive Review Board, which considers the transfers of the senior executives. On May 19, Wenk said he received a call from Combs, who was exercising the authority for the Department of the Interior’s assistant secretary for fish, wildlife and parks. He asked if she was taking his case to stay in Yellowstone through 2019 to the review board. She responded that she had looked at his file and resume and had no information regarding that request. Wenk had been pondering retirement for more than a year. During his 2017 year-end job evaluation he told his Denver boss, Intermountain Regional Director Sue Masica, he planned to leave the National Park Service at the end of 2018 or in the first quarter of 2019. “I would probably be retired before today,” were it not for several critical initiatives he seeks to complete, Wenk said in an interview. 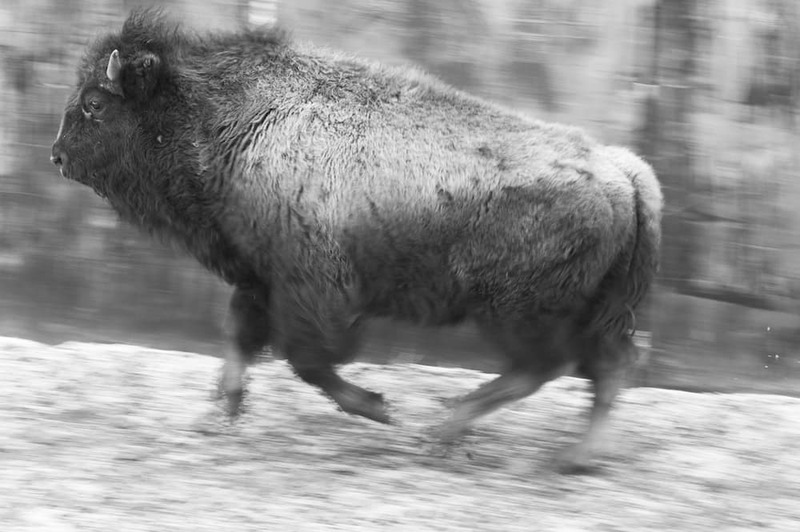 Those included transferring some Yellowstone bison to the Fort Peck Indian Reservation in Montana, working on several concessions contracts, and addressing the swelling masses of visitors. On May 31 Wenk wrote regional director Masica saying he was going to resign, effective March 30, 2019. “While I am officially letting you know about my retirement, I am doing so, knowing that I have 9 months to complete or nearly complete a number of important projects that I have been working on for years,” the emailed letter, obtained by WyoFile, states. “By March 30, 2019 the park will reach significant milestones or complete many of the projects,” on Wenk’s list, the letter states. The 2019 date also would allow him to honor a commitment he’d made upon the merger of the Yellowstone Park Foundation and Yellowstone Association not to retire for two years. Further, he hoped to launch a $150 million fundraising campaign for the 150th anniversary in 2022 of Yellowstone’s establishment. After writing Masica, Wenk on June 1 announced his 2019 retirement to the press. At the same time, the executive review board met to determine the request by Smith and Combs to move Wenk to Washington, D.C. But the consideration was made without an opportunity for Wenk to pitch his request to stay in the park until 2019, he said. “I was never able to have that,” he said of the opportunity to make his case. Smith and Combs outlined reasons for the involuntary transfer. 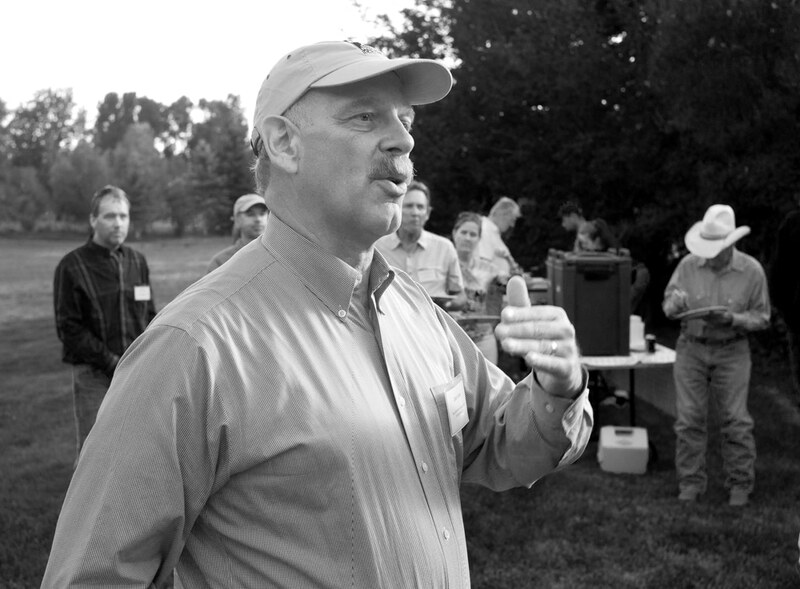 “The reassignment is an opportunity for the NPS to benefit from Mr. Wenk’s experience and qualifications in strategic planning and overall leadership to focus on issues regarding urban park sites; cultural and natural resources and preservation management; and to work with complex partners, NPS Friends groups and members of Congress, mayors, governors, and other municipal authorities,” a memo to the review board from the two states. The transfer was signed June 4. In approving the reassignment, Executive Review Board Chairman David Bernhardt wrote that the department had followed “best practices” in considering Combs’ presentation regarding the transfer of Wenk and three others. The department’s plan to shuffle top leaders “seeks to strike a balance between the important values of leadership continuity and achieving fresh perspectives, while enabling the reassignment of senior executives to best accomplish the agency’s mission,” the approval memo states. “…[S]enior executives may have perceptions of the reasons for reassignment decisions and surprisingly those perceptions may not align with the actual written material provided to the employee or the ERB,” the approval memo states. Bernhardt’s approval memo says Smith and Combs’ transfer request was justified. “…[T]hese approvals were obtained on their merits,” Bernhardt’s memo says. Wenk had tussled recently with other federal officials regarding the removal of federal Endangered Species Act protections for the Yellowstone area grizzly bear. The bison plan requires delicate negotiations with the federal Department of Agriculture’s Animal and Plant Health Inspection Service. “They needed to know I was the person they were negotiating with,” Wenk said. Wenk also sought to complete negotiations with the park’s major concessionaire, Xanterra, and others, that would see the private company upgrade facilities and make other improvements. He also wanted to “institutionalize” the park’s visitor management program — an effort to get a handle on a practically unmanageable surge in traffic — “to protect the park.” Citing a 7 percent increase in May visitation compared to last year, “we’re off to a record-breaking start,” he said. Obviously Wenk has a higher opinion of himself than the senior management at DOI does. Remember the Executive Review Board is composed of career Civil Service and Political Appointees. Wenk has an entitlement issue, rather than being grateful for being given what he has. You only need to scratch the surface of Wenk’s history at Yellowstone to get an entirely different perspective that I am sure entered the DOI’s decision making process. During the Reid Housing Investigation, Wenk admitted that he knew what was going on, but ignored it until it was reported to the DOI IG. His failure to take corrective action against Reid was pure dereliction of duty of Park Superintendent. During the Sexual Harassment Investigation at Yellowstone (also during Wenk’s tenure at Superintendet), Wenk admitted that he was not knowledgeable of the harassment until it was reported to local journalists. You have to wonder why the victims felt they had to go to a third party to get the complaints heard. Wenk was also in charge of the selection committee that recommended Dave Uberuaga for the Superintendent of the Grand Canyon NP. This was after Uberuaga was investigated for conflict of interest by the DOI IG. Wenk either failed to properly vet Uberuaga or just turned an eye to the situation like he did in the Reid case. The DOI/NPS is serious about breaking up the gold old boy system, and Wenk’s leaving is a good start. What harm would there be in allowing Wenk another 9 months in the Park? This type of action, no matter its legality, etc. seems to disregard well-proven transition practices, especially in organizations as large as the NPS. The person being considered as his replacement will give us a good indication of the reason(s) for Wenk’s dilemma unless his staff (as mentioned in an earlier comment) is in rebellion. This is article is all about how self-important the Superintendent really thinks he is. He implies that only he can make these initiatives happen. He has been at Yellowstone for 7 years. Thats more than enough and he should be grateful that he was in one of the premier jobs in the NPS. All of the reasons he listed can and usually are handled by numerous other staff in the park and regional office. It does not take a superintendent to herd buffalo, or negotiate concessions contracts, In fact, getting briefed by staff is usually the Supers total involvement. At that point he can agree or disagree about the process and details. The most misleading thing about this article (for all you NPS junkies), when Federal employees become part of the Senior Executive Service they agree in writing to being moved at the pleasure of the administration. There are no options. Wenk knew this and now it caught up with him and suddenly its an abomination. I assume he did not mind the financial rewards of being in the SES. Moving SES personnel is common from one administration to the next. Some SES employees will be moved more than once. Furthermore, they can be moved to any agency in the government. For example, Wenk could have been sent to Bureau of Prisons. Its not a choice. My guess a person with this type of ego will not be missed by the park employees. Change in leadership happens often throughout the entire government all the time and usually its best in the long run. Vernon, you are completely right here. Me and my father were both career NPS and both of us were transferred many times for many reasons. My father was superintendent of three national parks and served in two regional offices and DC. There were several times he didn’t want to leave where he was or go where he was needed. I too had several “forced” transfers. With 470+ areas, numerous regional offices and service centers everyone has to go somewhere and not everyone can go to Yellowstone. And you are right, Wenke gave up his civil service protected status to serve in Senior Executive Service at the will of the Director for a much higher salary and benefits. What a crybaby and trying to make it about the Trump administration. Shameful way to end a nice career. While I don’t like to hear of anyone having to deal with bad bosses, including the tyrannical nature of people like Trump (and his underlings), but Wenk obviously has no idea how good he’s had it as a federal employee. Try working for the private sector. For starters, In the private sector, employees can be terminated for any reason (minus the big “D’s”, descrimination), or even for no reason at all. A 43-year career, for the same employer? That’s nearly unheard of on the private side. • A typical federal worker, making an average salary of $60k/year, can expect a total retirement income (after 40-plus years of service) of $57,834. In addition, the federal employee would have whatever income his own TSP contributions generated. • Conversely, a typical private sector employee, with the same salary ($60k/year), can expect a total retirement income would be around $25,832, plus whatever he received through his own 401(k) contributions (if that pension or 401(k) wasn’t obliterated in the Great Recession, that is). 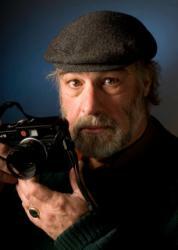 Accoring to fedsdatacenter.com, Dan Wenk is receiving a yearly salary of $187,000.00. He’s got a healty retirement coming his way…..and yet he’s griping? Government workers have been completely spoiled. They have little to no accountability. It is really hard to terminate a government worker (unless you really tick off the big men upstairs). Time to end the feelings of entitlements. Bueraucrats are destroying this country. The books “A Republic No More” by Jay Cost and “National Security and Double Government” by Michael Glennon both outline how bureaucrats have destroyed budgets, and the law making process, shifiting the U.S. from a democracy (representative republic) to a true bureaucracy. While I’m no fan of Trump, I sincerely hope he does even more to reign in federal agencies, and their employees. This is absolutely disgusting. A long term and highly respected Park Superintendent is being bullied by the people draining the swamp for their own agenda. No wonder our country is in such disarray. Greed overcomes honor and respect. Shame on Zinke and his cronies. How can they even justify what they’ve done to this man?